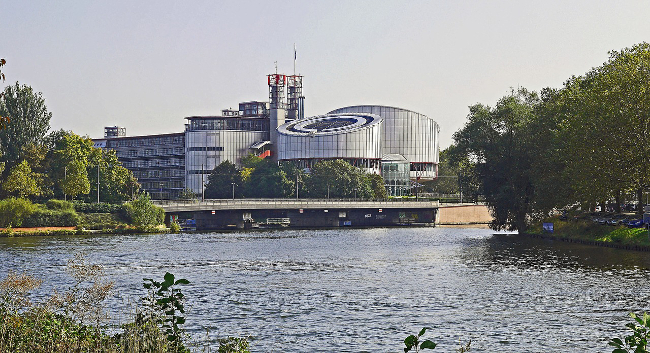 A now-deceased lawyer who alleged a breach of his right to freedom of expression suffered a violation of his Article 10 rights, the European Court of Human Rights (ECtHR) has ruled. Joaquim Antonio Pais Pires de Lima was a Portuguese national who was born in 1938 and died in 2017. He lived in Cascais, and was a lawyer practising in Lisbon. On 1 March 2007 the applicant wrote to the High Council of the Judiciary (HCJ) to complain of a lack of impartiality on the part of a judge, denouncing a case of “corruption” and a “scam”, in the wake of a case in which he had been a defence lawyer. The HCJ discontinued the case. The judge then brought an action for damages, which the Lisbon court partly allowed on 17 July 2008, ordering the applicant to pay €50,000 in compensation. The applicant appealed against that judgment. The Lisbon Appeal court set the judgment aside and referred the case back to the court of first instance. The Lisbon court resumed the fact-finding process and held a fresh hearing. On 22 April 2010 it delivered a judgment ordering the applicant to pay the judge the same sum, €50,000, in damages. The court dismissed the applicant’s allegations of corruption and lack of impartiality in respect of Judge R.P. Both parties appealed: the court dismissed the applicant’s appeal and partly allowed that of the judge, increasing the damages to €100,000. The applicant appealed on points of law and the Supreme Court reduced the amount of compensation to €50,000. On 14 April 2009 the Bar Association imposed a reprimand on the applicant on the grounds that he had failed to notify the judge that he would be lodging a complaint against him with the HCJ, as he should have done under the Bar Association’s Statute. Relying on Article 10 (freedom of expression), the applicant complained that the court order to pay damages for attacking a judge’s reputation had amounted to an infringement of his freedom of expression. Mr Pais Pires de Lima had been found liable in a civil action on account of the accusations he had made against Judge R.P. in a letter to the HCJ, in which he had called for the opening of a disciplinary investigation into that judge. Following an action brought by the judge, the domestic courts had unanimously held that the allegations of “a scam”, of partiality and of corruption made by the applicant in his letter had been particularly serious and had called into question the judge’s personal honour and his professional integrity as a representative of the judiciary. The accusations were essentially statements of fact. Since the applicant had also accused the judge of accepting bribes, the court considered it appropriate that the domestic courts had, in consequence, expected him to substantiate his accusations with relevant evidence. The civil courts which had examined the judge’s action had held that the applicant’s factual allegations were unfounded. In the court’s view, it was clear that the domestic courts’ reasons for finding the applicant liable in the civil action had been “relevant” and “sufficient”. However, the ECtHR considered that the amount of compensation that the applicant had been ordered to pay to Judge R.P. was excessive, especially as the accusations had not been made publicly but through a complaint in a letter sent to the HCJ. Although the statements in question had been discussed in judicial circles, the court held that the applicant could not be held responsible for leaks from proceedings that were supposed to remain confidential. The court concluded that the interference with the applicant’s freedom of expression had not been “necessary in a democratic society”.